A very quick undersketch in charcoal kept me from worrying too much about drawing problems while I was painting, so that I could focus on color problems. 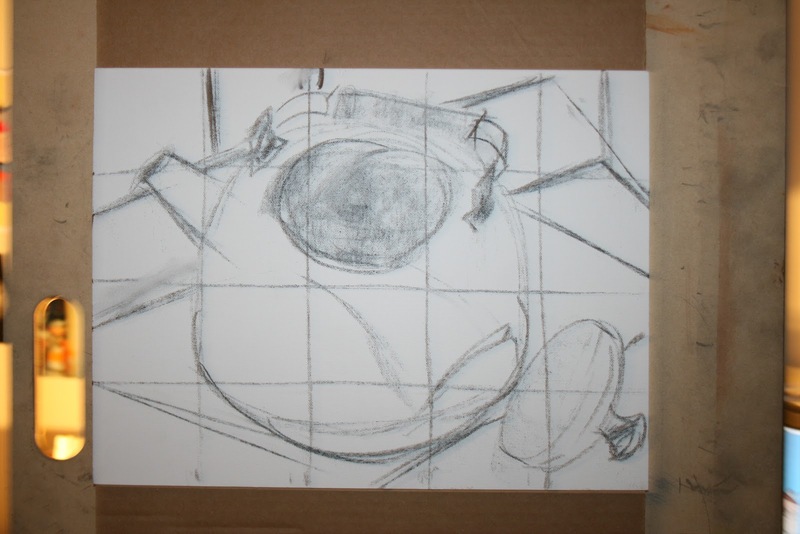 This did cause some underlying drawing problems to stick around to the final piece without being addressed, however. 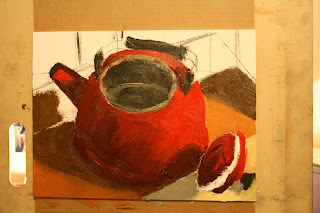 The first touches of oil color: cadmium red and cadmium yellow, then two shades of the same with ultramarine blue. 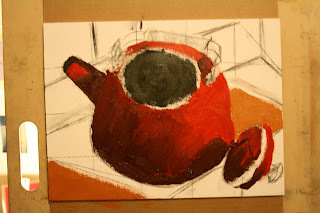 Everthing is going on with palette knives at this point. 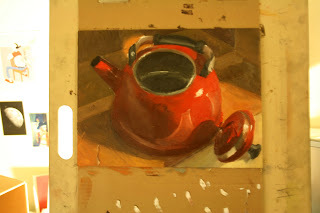 now the first touches of the cardboard color: a mostly yellow ochre based mix. 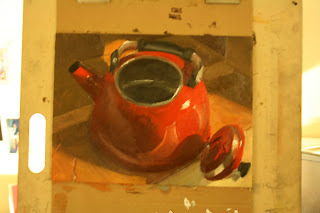 a ruddy neutral grey for the rim of the kettle's opening. The highlight went on as a dab of pure titanium white, blended into the red several times with a palette knife before a final coat was allowed to sit on the surface without being blended. 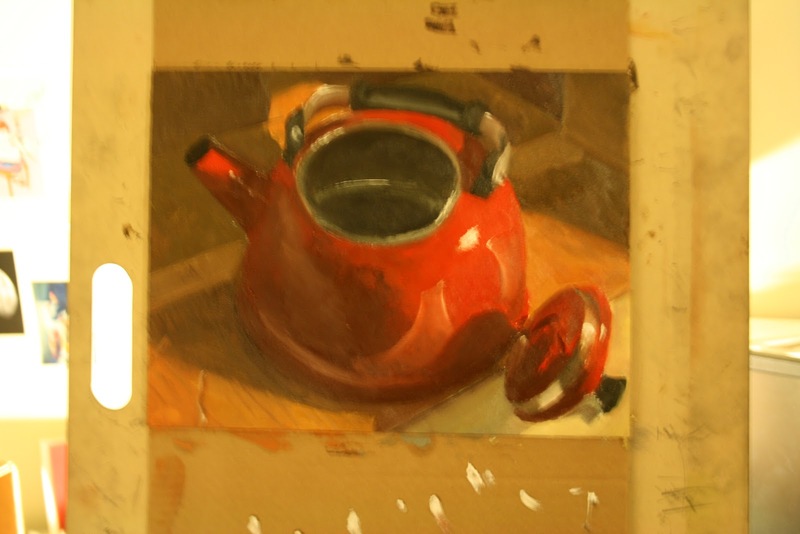 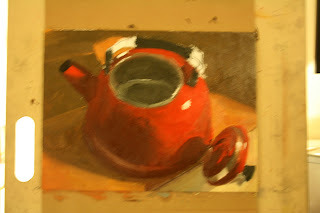 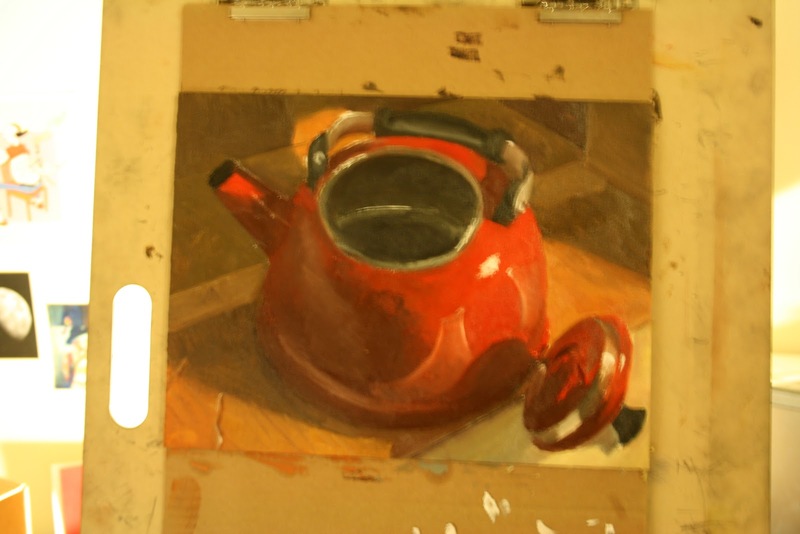 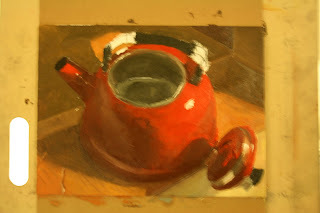 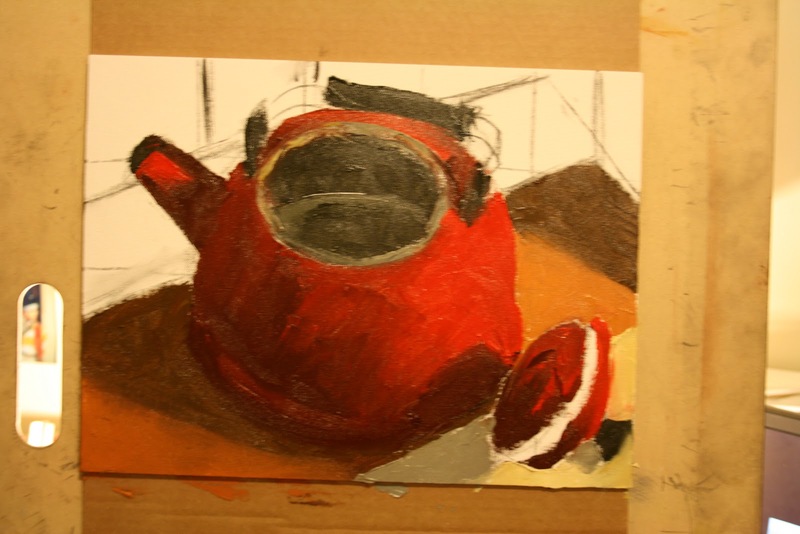 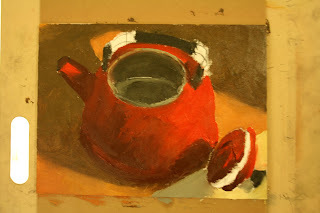 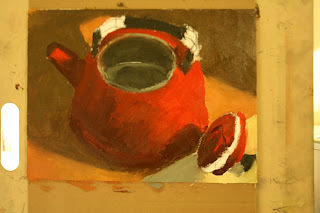 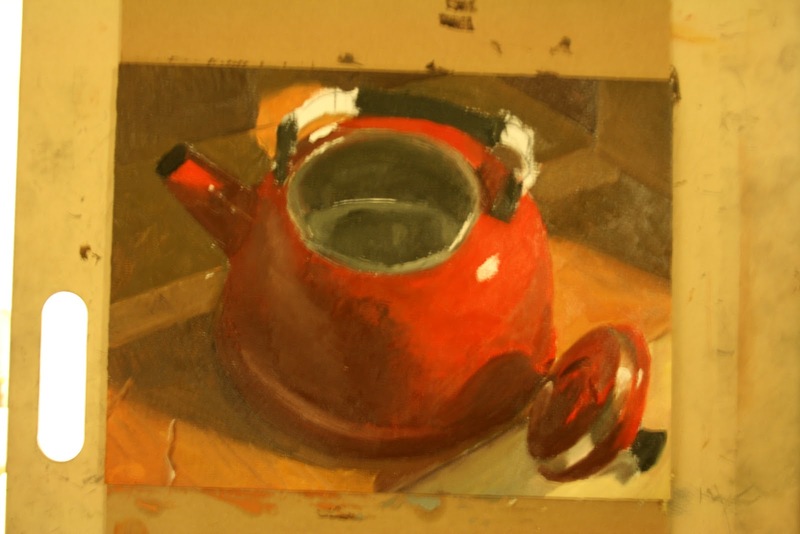 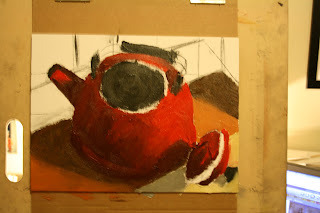 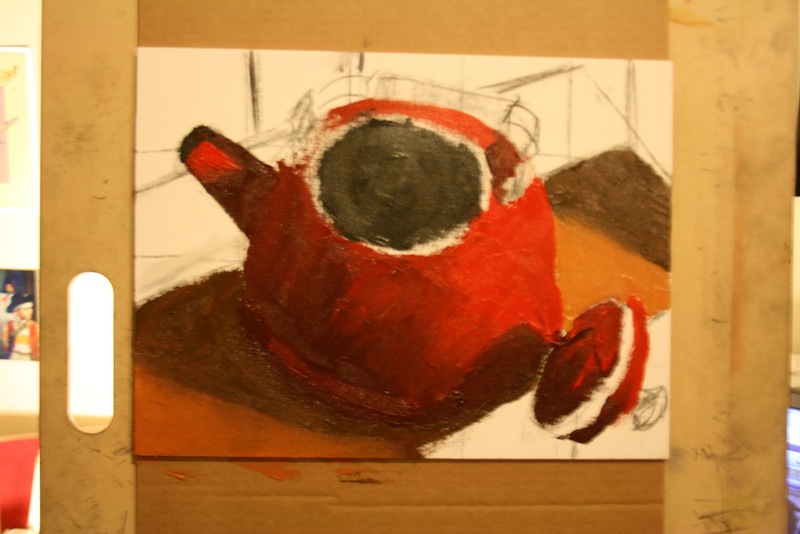 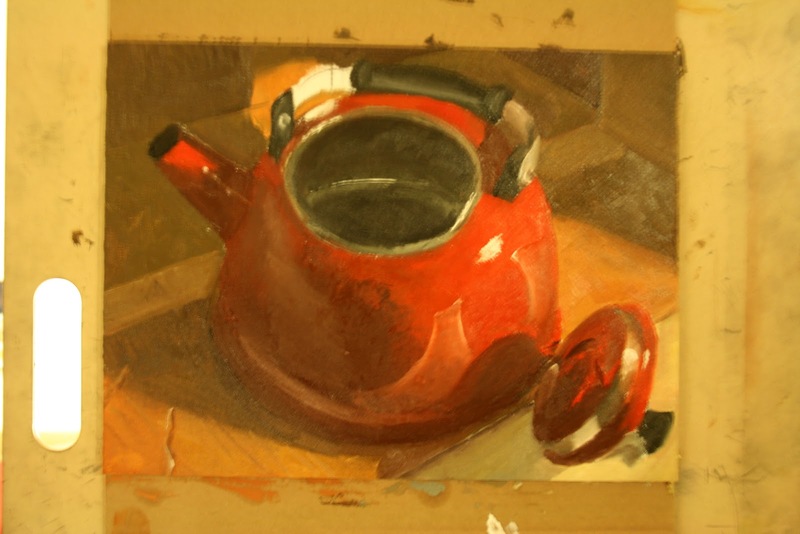 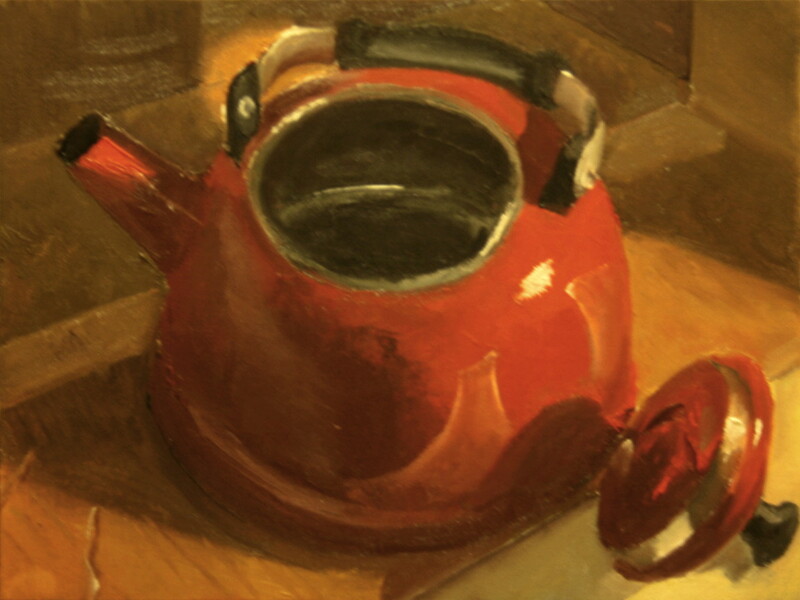 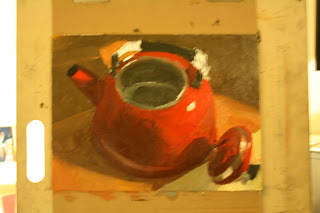 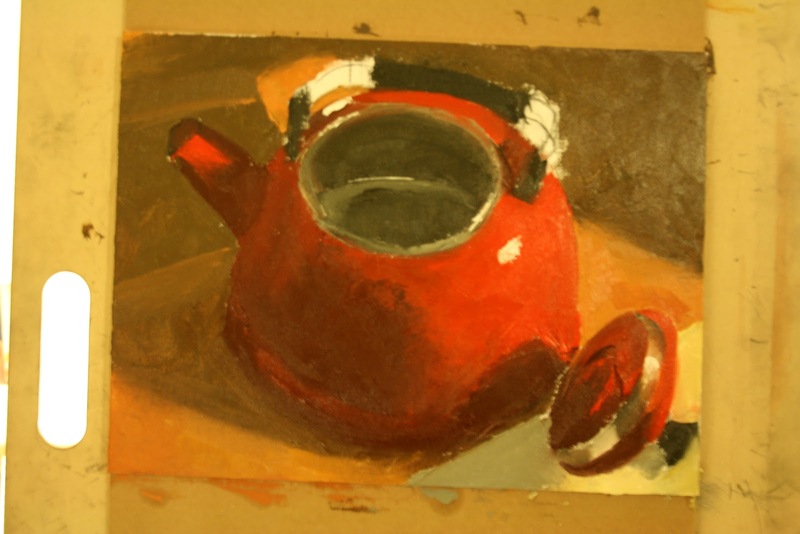 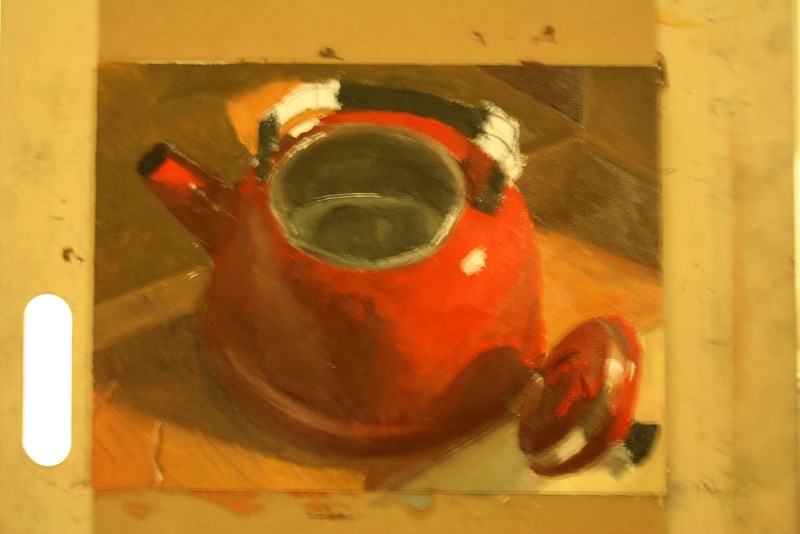 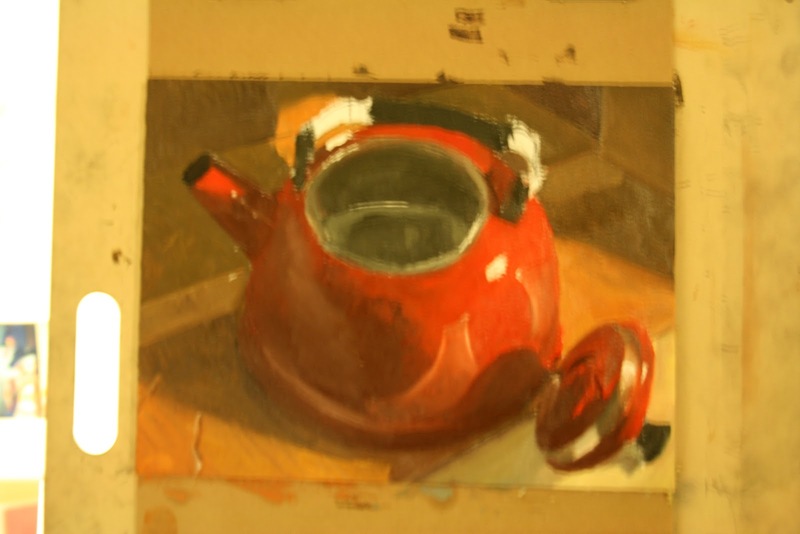 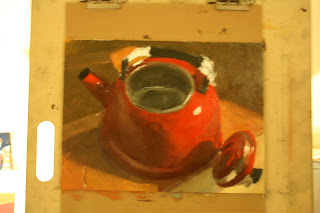 Adding a reflection of white fromt the table surface, which is just out of frame, to the body of the kettle. 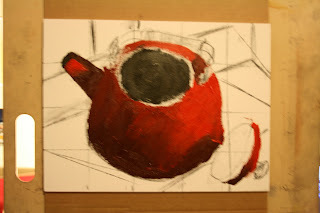 Pure white was dry-brushed onto the red with a small filbert. The flecks of white that begin to appear below the actual canvass are blobs of excess paint being scraped off a palette knife or brush before being applied. To get the subtle highlights, I dry-brushed as little white as I could into the colors I'd already established, so that the white almost disappeared as I was brushing.